FBI Police clearance validity is 12 months from the date of issue. There is no official expiry date mentioned on FBI certificate. The validity and acceptability of FBI certificate also varies by the purpose, country you are applying the visa for. If nothing specifically has been mentioned, then you can assume the FBI police clearance validity to be 12 months. Step by step process to get FBI Clearance within a week. The FBI certificate is valid for 6 months for Canada Permanent residency application. If you are currently living in USA, then the FBI certificate should have been issued within last 6 months, at the time of submission for Canada ITA. The FBI certificate is valid for 12 months for Australia Permanent residency application. Check Sample FBI Police Clearance Letter. Is Character Certificate same as Police Certificate? 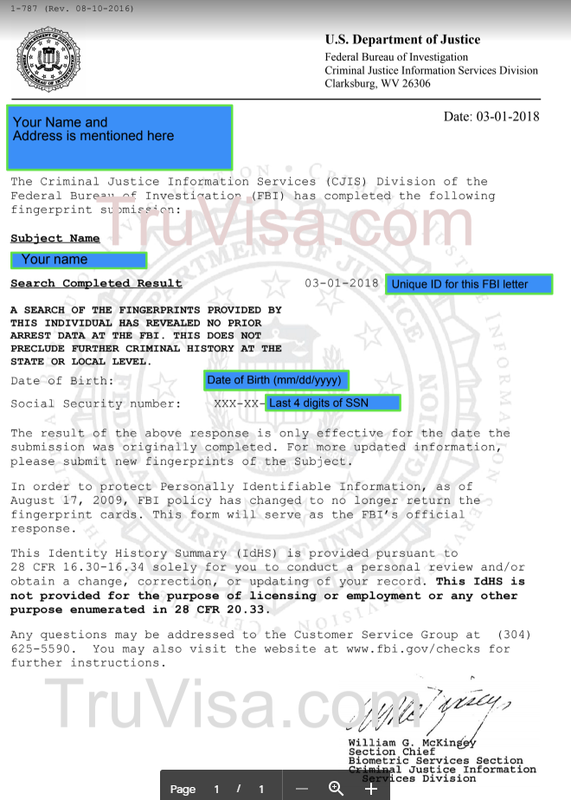 Character Certificates are not same as FBI police certificate and are NOT accepted by countries like Canada and Australia for their permanent resident application.